Truman, who for religious reasons asked us not to use his last name, says that's not the farthest he's travelled for a good price. He took a 2008 trip to Tijuana, Mexico for a colonoscopy. 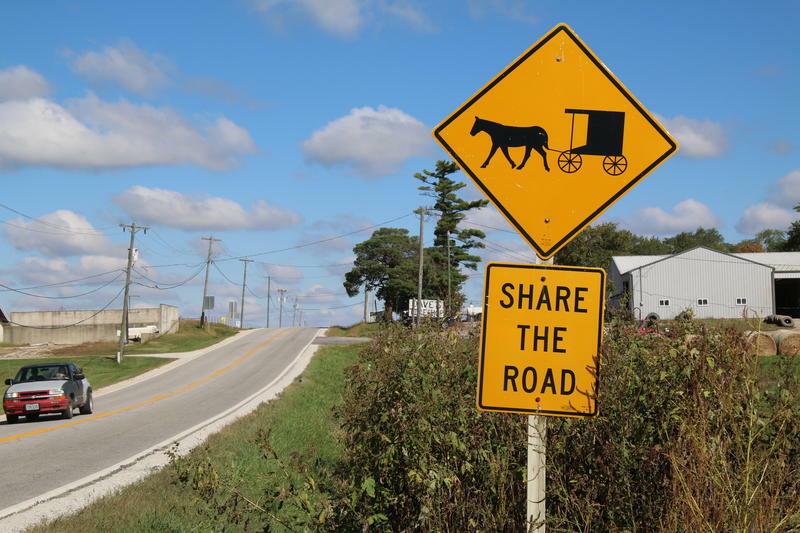 Amish and Mennonite communities typically shun health insurance, and many are even exempt from Obamacare. Instead, they pay cash for medical care and often will travel all over the United States or internationally for better prices. The Amish and Mennonites aren't the only ones who wish it was easier to shop for and compare health care prices. As medical costs continue to rise and Americans cover more of them out-of-pocket, there's a growing demand to see prices up front. But few hospitals do this. Estimating prices is not easy and for many health providers it's not worth the effort. Now, in Truman's community in Putnam County, Missouri, the Amish and Mennonites are leading an effort to get affordable prices close to home. They've teamed up with a small, rural hospital here to develop a new model of more transparent healthcare pricing. It all started with an realization Truman had earlier this year. He was sick and needed a gallbladder removal, which is why he was planning a trip to a hospital in Ohio. He never made it. Instead, he landed in a hospital near his home in Putnam County, where he hadn’t agreed on a price up front. And when the bills totaled thousands more than he’d hoped to pay, he figured, there’s got to be a better solution. Truman was frustrated: Why should he have to go all the way to Mexico or to Ohio to get a good price, he wondered? Through his surgeon, Truman started talking with a hospital only 15 minutes from his house - Putnam County Memorial Hospital. Like many rural hospitals around the country, this one was desperately seeking to attract new patients. About 90 percent of the hospital’s business comes from Medicare or Medicaid patients, according to chief operating officer Jerry Cummings. "That's a very dangerous situation," Cummings says. Reimbursements from Medicare and Medicaid are not enough to cover the hospital's overhead. In fact, Cummings says before he and his wife Cindy—the hospital's CEO—arrived in 2012, over-reliance on public insurance was one factor that pushed the hospital to the brink of closure. One solution could be to attract self-paying clientele. And with almost 20,000 Amish and Mennonites in Missouri alone, those groups are a huge potential pool of patients. With Truman's help, the Cummings convened a committee of six Amish and Mennonite community leaders at a meeting in October to discuss how they could work together. "You're a very vital part of our future because you're paying cash," Jerry Cummings told the room. The committee discussed how to develop prices that would work for self-paying customers, and landed on the idea of flat rates for services. "That would really simplify it if we still get a good rate," one Amish leader told the Cummings during the meeting, "and it sounds like you're willing to work with us." The program the committee is creating will be a kind of price list that could be used for all self-paying customers, including the growing number of patients with high deductible health plans who are on the hook for a greater portion of their medical bills. That’s a lot of potential business for a small hospital. And according to National Rural Health Association vice president Brock Slabach, it's a model more rural hospitals could benefit from. Nationwide, 59 rural hospitals have closed since 2010 and hundreds more are at risk of closing. According to Slabach, attracting more self-paying patients is a "huge opportunity" for those hospitals, albeit a challenge. And it’s not just rural hospitals. Slabach says this trend may spread to towns and cities too as more patients demand price transparency. “I think its forward thinking and it's the way all facilities both urban and rural will be going very soon, " he says. 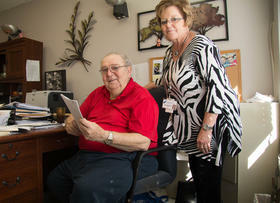 Up here in northern Missouri, the Putnam County Memorial Hospital is staking its future on doing just that. Copyright 2015 WFYI-FM. To see more, visit http://www.wfyi.org. 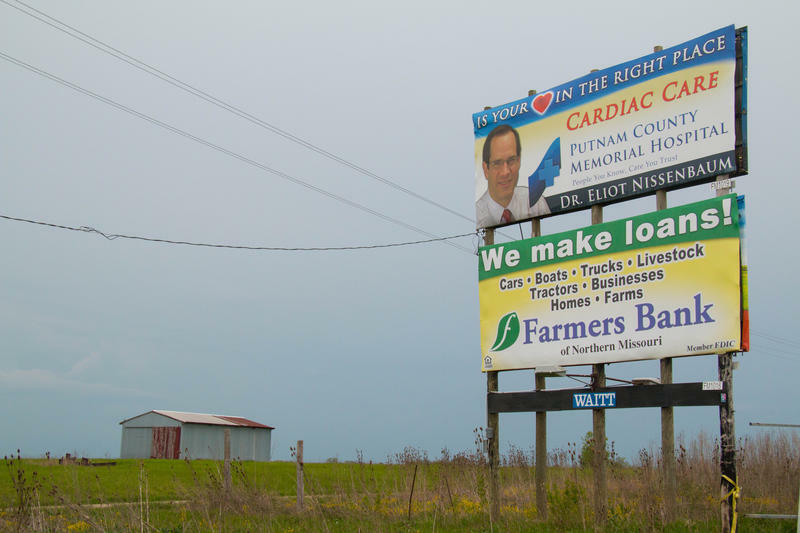 When cattle farmer Greg Fleshman joined the board of Putnam County Memorial Hospital in rural northern Missouri in 2011, the hospital was on the brink of closing. Price transparency can be hard to come by in health care. Putnam County Memorial Hospital, a small hospital in Missouri, is banking its future on having its prices out in the public.